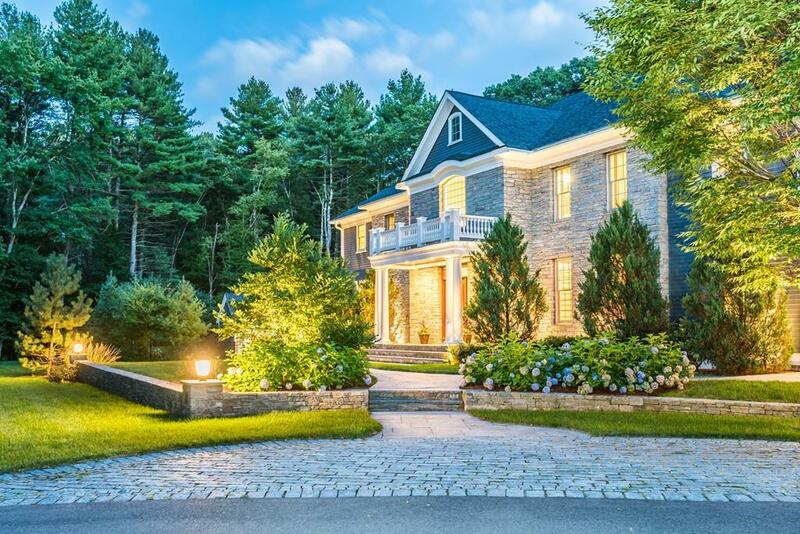 This elegant and superbly crafted 6, 474 square foot residence is located in the Claypit Hill neighborhood. Sophisticated, yet understatedly elegant, highlighted by a stunning Great room with walls of glass opening onto a custom stone terrace. The highest quality of craftsmanship and meticulous attention to detail is evident throughout the home and property; a stunning dining room a custom cherry study, and an impressive kitchen featuring 60 inch Wolf gas range, Miele and Sub Zero stainless steel appliances and butlers pantry with a Miele built in coffee machine. The main entry foyer is sure to impress with superbly crafted millwork, a grand curved staircase to a second level including a master suite with a spa bath; large steam shower, Jacuzzi tub and custom cabinetry. Four additional en suite bedrooms and two staircases flow seamlessly. The lower level has a first class home theatre, game room, full bath, wet bar and mirrored gym.